While the world watched Russia’s North Fleet with trepidation as it launched surprise exercises near the Arctic Circle last week, Vladimir Putin has quietly been arming another area inside Europe’s borders: Kaliningrad, the Russian seaport city in a region sandwiched between Poland and Lithuania, with convenient access to the Baltic Sea. Vessels from Russia’s Baltic Fleet have delivered fighter jets and Iskander missile launchers to the former German city, from where missiles could reach not just to Warsaw and Vilnius but Germany as well, Elisabeth Braw writes in the Newsweek magazine. 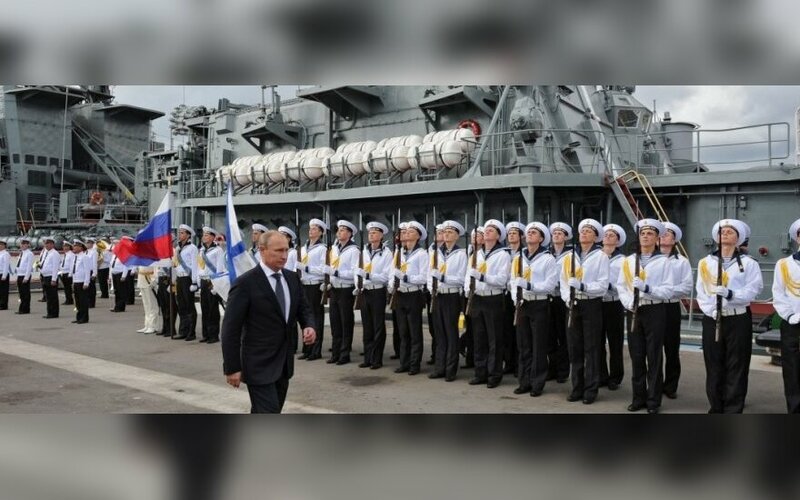 Sources say that, with sea transport neither quick nor easy to organise, it’s clear the Russian armed forces had planned the recent delivery for some time. 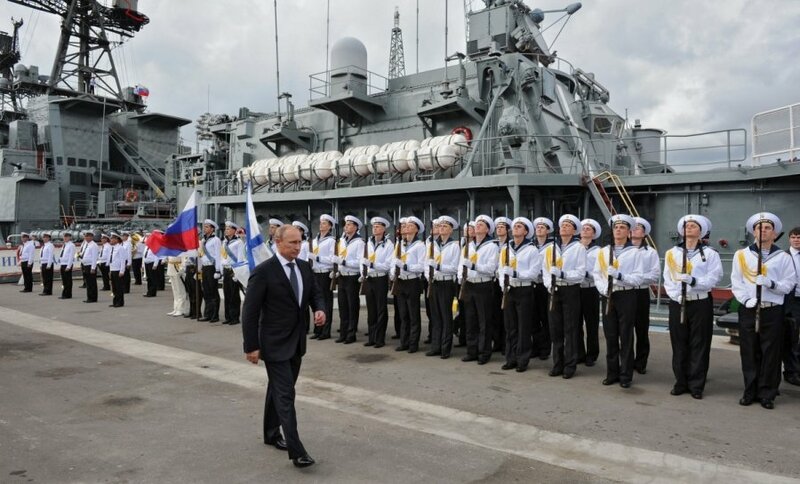 Indeed, the Russian army has spent the past several years equipping its Baltic territory with state-of-the-art weaponry. Regional security officials now call Kaliningrad a veritable arms depot. “The Russian armed forces have, for example, installed new S-400 [anti-aircraft missiles] there, which have an incredibly long range,” says Johan Wiktorin, a Swedish former military intelligence officer and author of the 2013 book Korridoren till Kaliningrad (The Corridor to Kaliningrad). The arming of Kaliningrad forms part of a 19-trillion-rouble (€296bn) plan to increase the share of modern weapons in the Russian armed forces’ arsenal from 10% to 70%. According to a recent report by the Casimir Pulaski Foundation, a Polish security think tank, the plan features the acquisition of 120 Iskanders along with 600 aircraft, 1,100 helicopters, 100 ships and 2,300 tanks. Some of these heavy-hitters, including jet fighters and bombers, were recently delivered to a base outside the city where Immanuel Kant wrote his famous treatise on eternal peace. But while Kaliningrad’s tanks and fighter jets give Russia’s Baltic Sea neighbours enough sleepless nights, the Iskanders pose a threat of a different magnitude. The nine-year-old missile launcher is capable of launching both conventional and nuclear missiles, and it does so with much better accuracy than its predecessors. A conventional warhead launched from an Iskander can officially reach a target 400km away with five-metre accuracy range, crucially putting it below the 500km limit required by the Intermediate-Range Nuclear Forces (INF) treaty signed by Russia. But according to several independent studies, including one by Finland’s National Defence University, Iskander missiles can travel 700km. From its Baltic base, an Iskander-launched bomb could easily destroy, for example, the German parliament. Because nuclear-capable states keep the location of their warheads a secret, nobody knows for sure whether Kaliningrad is also housing atomic bombs. But, given that transporting and mounting nuclear warheads requires little time – inserting a warhead into its launcher can take as little as 15 minutes, their presence or absence at any given time makes little difference. Those actions, of course, include Nato forces and exercises in the Baltic states. Russia isn’t the only power there flexing its muscles. The recent turn of events in Kaliningrad would have shocked Immanuel Kant, the city’s most illustrious son, who developed his theory on human reason during daily walks through what was then Prussian Königsberg, “the Venice of the North”. And the transformation of the 18th-century philosopher’s home city into an arms depot has come as a shock to European development officials too. Over the past six years, the European Reconstruction and Development Bank (ERDB), the Nordic Investment Bank, the Swedish development agency (SIDA) and the Northern Dimension Environmental Partnership have transferred funds amounting to a total of €26m to Kaliningrad for the construction of a sewage plant. But a letter seen by Newsweek reveals that these agencies have now taken the local governor to task for having made no progress at all on the plant. “Fifteen hundred cubic metres of raw sewage continues to be discharged into our common Baltic Sea every 24 hours,” they write. Kaliningrad’s neighbours have got a distinctly rotten deal: enormous quantities of sewage and a serious weapon threat. By next month, the agencies want proof that the Kaliningraders are making progress on the plant. But with the funds already spent, there’s little hope for clean water. Intelligence officials in the region, speaking with Newsweek on condition of anonymity, report another dubious inflow to the exclave. Goods banned under the current trade sanctions are now reportedly making their way to Kaliningrad from Poland and Lithuania. (Europol reports having “no solid information” on the matter.) That adds a new string to Kaliningrad’s black market, which has, until now, mostly featured in contraband cigarette smuggling from Russia to Europe. Undeterred by the worrisome news, Kaliningrad is eagerly promoting tourism, extolling the exclave’s “unique sources of health tourism”. “The Russians’ placing of their missile launchers in the oblast (district) can cause Nato serious trouble,” a military official in the region says. “But all the high-tech wizardry is vulnerable there as well, being so close to Nato territory and with Kaliningrad cut off from Russia. And the armed forces in Kaliningrad can’t receive reinforcements through ground transport unless the Red Army pushes through.” Kaliningrad’s Iskanders and its tourism officials are on an unmistakable collision course.